The Cybex VR3 lat pulldown is traditional exercise equipment ideal for users who favour more familiar movement. The machine is supplied with adjustable thigh pads that keep the users with varying leg lengths securely in the seat. 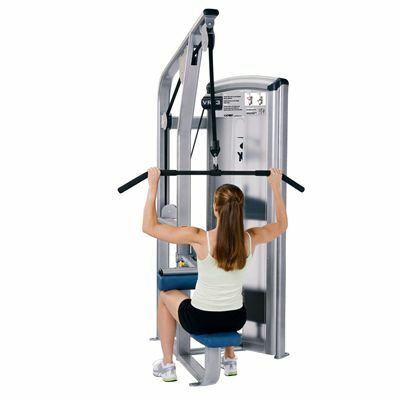 Additionally, the pulley has been placed at the front of the machine to ensure correct posture for the lat pulldown movement. The Cybex VR3 lat pulldown has been designed to provide effective workouts for advanced strength trainers as well as complete beginners. for submitting product review about Cybex VR3 Lat Pulldown.